New February 2018: I now have a complete guide to how to use the Polaroid Impulse AF! The absolute best place to find Polaroid cameras like the Sun 600 for cheap (besides your parents’ attic) is through eBay and Amazon. Please use the following links when purchasing, as it helps me keep writing and costs you nothing. Thanks! Get the Polaroid Impulse AF on Amazon. 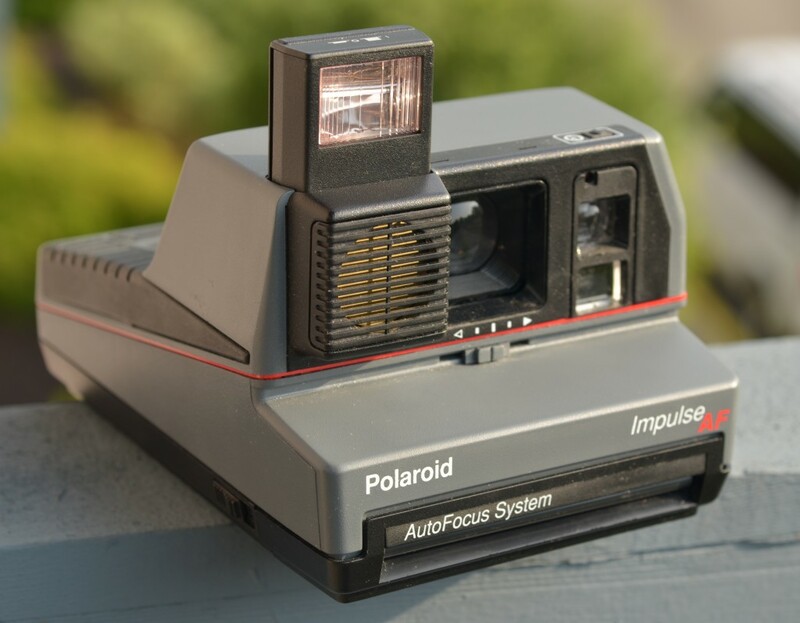 Find the Polaroid Impulse AF on eBay. Growing up, like most, my family had a Polaroid camera lying around. I remember spending many days watching jealously as my dad used it to take snapshots of the family and of the house. He would take a photo, hand it to me, and I would watch the gray developer fade into an image. Film was relatively expensive (incredibly cheap by today’s prices though), so my parents always neglected to get any film and certainly wouldn’t let me use it. The Polaroid Impulse AF was that camera. During my sophomore year of college, as I was teaching myself photography, I decided to dig up our family’s old camera and finally use it for myself. I purchased some expired Polaroid film from the Impossible Project (they hadn’t released any of their own yet) and ever since I’ve been hooked. So you can say I have bit of a nostalgic connection with this camera. It was the one I grew up with and the first one I used to dive into the analog photography world. But now that we got my own history out of the way, let’s look at the camera itself and see how it stacks up against the other Polaroid cameras of the world. The Polaroid Impulse AF is a fairly simplistic, rather cheap looking 600 camera. It doesn’t collapse down to a smaller size and it has almost no custom controls. However, it has the best viewfinder I’ve seen on a consumer 600 camera and excellent autofocus capabilities. It’s fairly reliable, with the most fragile component being the roller. I used this camera to shoot the Impossible Project’s first flush films, and the leaked developer has gummed it all up. Impossible doesn’t sell any film with this defect anymore, so this shouldn’t be a problem for most people. However, do be careful with expired Polaroid film. I’m finding that as it ages, it has begun leaking chemicals. Since it is a 600 model camera, it works with expired Polaroid 600 film, as well as the Impossible Project’s PX 600 Silver Shade and PX 680 Color Shade lines of film. This camera features the familiar exposure compensation dial that is an nearly every Polaroid camera ever made. It works fine. You turn the camera on and off by popping up the flash. There’s no option to turn off the flash, which is maddening. This isn’t unusual by any means for Polaroid cameras, and a reason I go out of my way to find cameras like the Polaroid Spectra System. The only way to work around the flash (which is awful for portraits and monochrome films) is to tape something over it. Use a few note cards or even your hand, but be warned, these flashes fire hot. 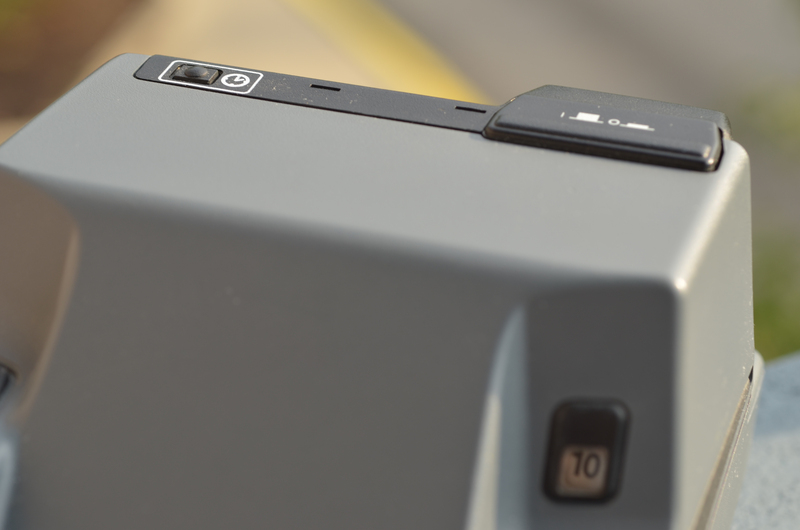 This camera has a great fat shutter button on the back. Press down halfway to focus (maybe? who knows! ), and all the way to take the image. I used to just mash down the button, but I tend to get better results if I press down halfway first. 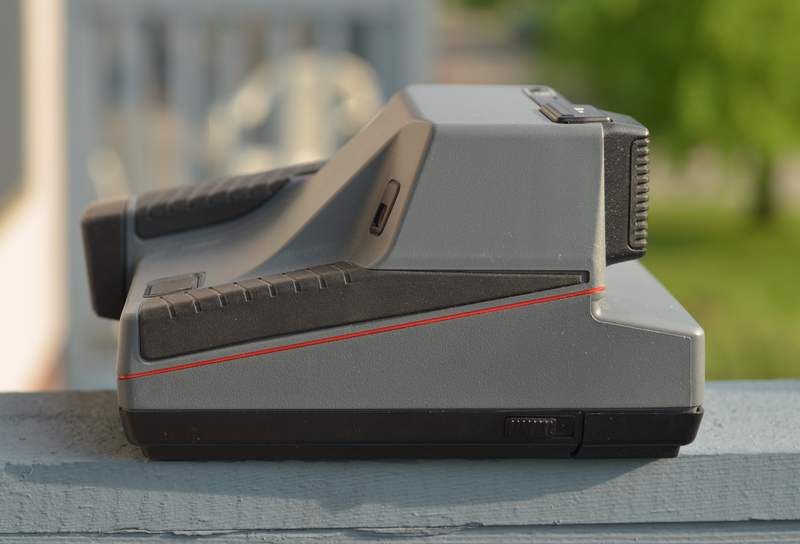 Unlike the Polaroid Spectra System, there is no indicator of focus distance. The viewfinder is typical of Polaroid 600 cameras. It’s quite a bit off from what you’re actually going to get from the lens in the middle. However, the viewfinder of the Polaroid Impulse AF is actually quite large and bright when compared to other 600 cameras. There are no readouts in the viewfinder, which is expected of consumer level Polaroids. The lens on this camera is great, but be careful with it since there is nothing protecting it in transit. However I will say that after being tossed around by my family for two decades it still shows no scratches or damage. Autofocus is the great sonar autofocus system that some Polaroid cameras use. It tends to focus on the object in the foreground rather than whatever has the most texture. This is biggest advantage this particular 600 model has over other 600 cameras, the sonar autofocus system tends to result in much sharper images than the fixed focus models. Metering seems fine, but the exposure compensation operates by covering up the meter with different amounts of opaque plastic. The viewfinder of the Impulse AF is amazing. Compaired to the Polaroid Closeup Onestep it’s like suddenly getting glasses. It’s easy to see, bright, and very large. 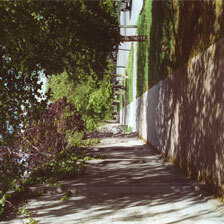 Like I said before, this camera had already survived nearly two decades of use before I took it for my own. It doesn’t fold up to protect the lens and buttons, so it’s a bit bulky. The roller is cheap and easily damaged. The rubber on the sides acts as a grip and makes it feel a bit fancier. The Polaroid Impulse AF is an excellent 600 type camera. If you’re looking to use 600 type films, and can’t afford a Polaroid SLR, this is one of the best cameras out there. It doesn’t look like much, so you should be able to find one for cheap on eBay or in somebody’s basement. I prefer sonar autofocus cameras like this one to fixed focus cameras like the Polaroid OneStep Closeup since I have a better idea of what is going to be sharp. Also, the viewfinder alone is worth seeking this little guy out. It’s always a good idea to have multiple cameras if you’re working with consumer grade 600 type Polaroid cameras. I generally use my Polaroid OneStep Closeup for 600 film now since my roller has gone bad in my Impulse AF. This is a shame, because I like the Impulse AF much better. However, these cameras are so cheap and plentiful these days that you should be able to grab at least two for the price of a single pack of Impossible Project film. If you’ve picked up an Impulse AF for yourself, check out my guide to using the camera for more information. Good luck and happy shooting! 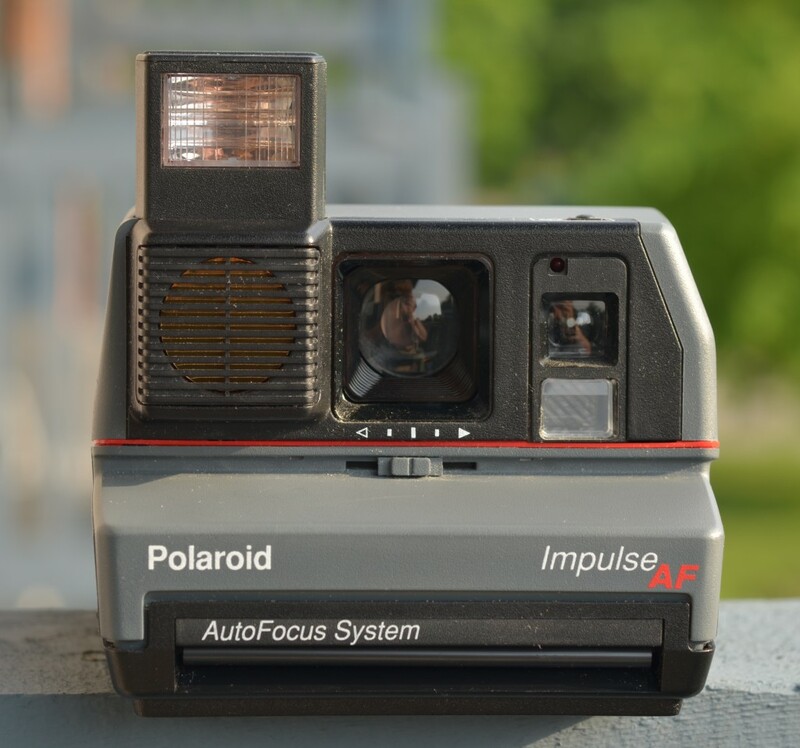 Find the Polaroid Impulse AF on eBay.